﻿ 9 Homes Makati For Sale Or Rent With Price List. 9 Homes Makati For Sale Or Rent. A development strategically and conveniently located in J.P Laurel Avenue, Bajada, Davao CS.Nestled in the center of Davoa City and surrounded by multitude of commercial and lifestyle organizations as well as business facilities that are always in demand. Easy acces to all major roads like Dacudao Avenue allows for efficienct and convenient travel throughout the area.Whatever you require to enhance your lifestyle is right on your doorstep. A perfect blend of professional and private life.Luxury lifestyle and leisure are the order of the day and is definitely not in short supply. The perfect place to retreat to each eve while still being within reach of the buzz of city life. Shopping and retail therapy is provided through a variety of malls in close proximity to the development. Abreeza Mall and Robinsons Cybergate provide a unique experience to their visitors and residents to the area. Religion is taken seriously by all Filipino people and ensuring that there are numerous places of worship is a discerning factor in location selection of this development. Sacred Heart Parish is one such establishment in the area. Schools and hospitals are always paramount to any family and easy access to facilities is important. While medical care can be sought at various facilities like San Pedro Hospital, you can always be assured of service delivery. Schools such as Davao Christian High School or universities and colleges such as San Pedro College or University of Southeastern Philippines are not in short supply, education is a foundation for the future of the community. Explore the beauty and relaxation of nature within a prime development. Rustic and modern both describe this residence completely. Located in Brgy. Malamig, Binan, Laguna, this is a vast development designed to provide a luxury lifestyle.Location is of paramount importance.While the goal is to give you a place to retire to in peace and tranquility each evening, you still want to have that easy accessibility to all the major required services that are necessary during daily living. Metro Manila is only a stone’s throw away with easy access routes from Aveia. This is the perfect solution for those who choose to provide a home for their families that is a far cry from the mad city life but still guarantee that getting to work each day won’t be a problem. Laguna Technopark and the Westborough and Commercial Strip are only two prime examples of what lies just beyond the borders of home. For any growing family, education is important. Aveia offers prime facilities in close proximity. Your children will benefit from the best there is on offer. Brent International School, Everest Academy and Don Bosco College are on a few of what you have to select from. Each facility offers a learning experience that is second to none. Take in the spleandor of all the amenities on offer for both outdoor and indoor enjoyment. There is nothing that your family would want for. Live a life of rustic bliss in modern facilities far from the maddening crowd but still within reach when the time requires it. The perfect self-sustaining community is within your grasps. This development located not far from Alabang when travelling via South Luzon Expressway. Green living is the order of the day within this community. Health, fitness and well-being are at the forefront. What this development offers is the opportunity for you to make the change and create an environment and lifestyle that will enhance the physical and mental well-being of your family.Amenities on offer incorporate the use of wide-open spaces, parks, bicycle lanes, everything that encourages outdoor, active and healthy living.For any growing family education is paramount and the basis on which many residential decisions are based. Ardia at Vermosa is within close proximity to many educational facilities providing top class education. These include the likes of De La Salle Dasmarinas, PAREF Woodrose School and San Beda College to name only a few. Religion is a part of life that cannot be ignored. Places of worship were not forgotten when deciding on a location for this development. St James the Great Alabang, Our Lady of the Pillar and a variety of different establishments are available for residents to practise their worship as they wish. The health and safety of your family is always at the forefront of your mind and with amazing medical facilities like Asian Hospital and Medical Center close by you need not worry at all. Commercial centers are easily accessible for daily work travel or at times when these facilities are required. A development that will change the life of your family for the better. Located on Mercedes Avenue, Pasig City. A perfect location for a development of this nature. This city is one that stands out in the Metro Manila region. Residential and industrial activities flourish here. This region is home to many commercial businesses, factories, warehouses and such.Ametta Place provides a luxurious, modern lifestyle away from the buzz of the busy city while still slap bang in the middle of it. The three bedroom units are perfect for couples or even growing families who wish to enjoy a private lifestyle. Different size units cater for a variety of family unit sizes while still providing the same amenities and pleasures to all. Strategically positioned for ease of access to the important business centers where many venture to work each day. Of course access to educational facilities like APEC School Pateros and La Salle Greenhills make this development that much more appealing. The health of your family is taken care of with ease and convenience at any one of the facilities close by. Pasig General Hospital and Tricity Medical Center to name only two provide a professional experience. Quality time with family is shared both indoors and out. Visit any one of the local entertainment hubs like Frontera Verda or The Valley Golf Club and enjoy fun with your loved ones.Ametta Place provides a safe and secure environment for your family. Rest assured that the perimeter fence and gate are always guarded to the highest standards keeping you safe and sound in your own little paradise that you call home. 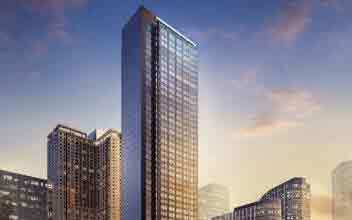 Situated in Makati, the central hub for shopping, towering building that frame the skies and vast, green spaces. The perfect place to raise a family, live life and enjoy your work environment. Nature meets urban life in a development that is a high-rise residential establishment that combines them with ease. Class, elegance, low density, luxury and modern living define this development. Schooling is taken care of for families with growing families. The choices you are provided with will astound you. Educational facilities of a high-caliber are in close proximity to the development. Assumption College and Far Eastern University Makati are only two of these on offer. Whether your child is only starting out on their educational journey or reaching the end of it, you will be spoilt for choice where facilities are concerned. Professional, modern, state-of-the-art medical facilities guarantee the health and well-being of your family. Your choices are varied but the standards remain the same. Makati Medical Center and St Luke Medical Center as well as numerous others are available when the time requires it. Enjoy some recreational time at one of the local shopping malls or take up some outdoors activity at the Makati Sports Club and revel in the quality time with your family. Escala Salcedo is one of the only residential development set against the lush, open, green parks in Makati. A welcome escape from the concrete jungle yet still close enough to hear the buzz of the city if you listen really hard. Easy accessibility is the key. Mediterranean style living in the heart of Manila. A unique community that has changed the residential landscape. Located along Felix Huertas St., Sta. Cruz. Manila and in close proximity to surrounding districts. Easy accessibility makes this the perfect residential choice for many. Consisting of three high-rise buildings towering above the city in one of Manila’s oldest districts. Manila is known for the numerous universities on offer as well as the variety of business and commercial establishments within the center. Celadon Park is the perfect residential solution for a diverse range of people. Whether you are a business person, a working family man or a student, you can find peace, tranquility and a home here. Safety within the city limits is paramount. At Celadon Park you can rest-assured that your life is in theright hands. Twenty four hour a day guarded security are always available for residents. Automatic fire alarms, detectors and a sprinkler system ensure your safety against unforseen acts of nature. All aspects of safety are taken care of. Escape the concrete jungle and take a dip in the lap pool or relax in the wade pool, socialize in the lounge or enjoy some retail therapy at any one of the commercial shops. A gym and fitness center allow you to burn off some steam while your kids get rid of pent up energy on the playground or basketball court. Schools, medical facilities and other points of interest are scattered around the development and easily accessible. This unique, architectural design is the home you have been searching for. Entertainment meets residential brought to life with Callisto Makati. A dream for those who enjoy retail therapy, this development stretches the span of the Circuit Lane retail strip. Innovation and modern design have taken this residential development to new heights. Enjoy the fast, exciting, city life while taking a step back from time to time to smell the roses as it were. Location is what makes this development so sought after. Amenities and facilities required every day are close at hand and easily accessible by all. A variety of places of worship are within a two kilometer radius. These include Greenbelt Church, St. Andrew Apostle Parish and Union Church Manila are a brisk walk from home. While the concrete jungle surrounds you there are a variety of havens that offer you recreation both indoors and outdoors. Enjoy the lush green landscape of the various country clubs in the area.Makati’s Sports Club and Manila Polo Club are two such islands of pleasure amid the bricks and mortar. Your medical well-being is a concern that you need not linger on. Enjoy a professional experience at any one of the fine hospitals like Makati Medical Center or Trinity Hospital to name a handful. Schools, universities and colleges are in plentiful supply. Broaden the minds of your children and ensure their future success. High-caliber education can be achieved at Makati Science High School, School of Fashion and the Arts or any one of the many others in the region. Luxury, convenience and ease incorporated into a facility that offers contemporary design and architectural genius. Situated in Vertis North, Quezon City, this high-rise residential development has changed the way urban living is viewed. Architectural brilliance and cutting edge design have resulted in a building that compliments the Quezon City skyline. Self-sustaining and suited to a diverse array of characters, this is truly the place to be. The development incorporates residential, commercial and leisure facilities that will leave you with little time to sit idle. While the development will be spanned on one side by the business district it is in stark contras t to what lies on the other border. Lush, green, open spaces and an exciting retail gallery line the view from the other side. Views from the windows and doors of units are filled with landscaped areas of lush, green lands. Aesthetically appealing and a mask for what lies beyond - the urban, concrete of the city. While the development is easily within reach of a variety of educational facilities, medical facilities and commercial organizations, the unique design of the walkable city encourages pedestrians and reduces vehicular traffic, brining everything within reach. For amenities and facilities that may be a little far to walk, Vertis North is the transportation hub which allows for easy access to busses, MRT stations and even something as simple as hailing an UBER. Strategic location, aesthetic brilliance and innovation have created an environment within the city that allows you to forget for a moment that urban life in yours. Relaxation, luxury and modern facilities bring home into the city without you even realizing it. High Park, situated in Vertis North, Quezon City, a residential development incorporating planning, design, architecture and modern facilities to create an environment where fresh air and greenery are not a distant thought.Two-storeys of residential mastery provides luxurious living never before experienced. While the city is urbanized and filled with concrete structure, it has not prevented High Park from finding that hidden treasure of lush greenery and providing residents with a breath of fresh air amid the smog that surrounds it. Amenities add to the magnetism of this fine development. While the in-house facilities of a function room, fitness gym, board room, indoor play room, infinity lounge and lap pool, kiddie pool, landscaped view decks and alfresco lounge ensure a lifestyle of grandeur, the attractions and landmarks past the boundaries offer another dimension of excitement and interest. Ninoy Aquino Parks and Wildlife, Trinoma, ABS-CBN in addition to a variety of other landmarks and the central business district are within a close vicinity. As always location and situation are the keys to any great property and High Park is no different. This is the perfect location for families who wish to live a life of luxury in an environment that mimics the country life while still being within arms lenght of the workplace, schools and other basic daily amenities. Peace of mind is not a myth. The property management team at High Park takes care of all the daily services and upkeep of the property and facilities. The best of both worlds is now a possibility that knows no boundaries. This development is a five hectare townhouse community located along Sampaguita Road, Quezon City. Campus living is what this development style and environment provides.Nature and a quiet, serene environment foster well-being in all who allow it to embrace them. Location is once again at the forefront and the planning of this development was well thought out and executed. While the development is a little out of the way, accessibility to all major areas and from all major reasons is easy via the major throughfarese in Quezon City. Amenities on offer for your enjoyment are bountiful. Clubhouse, outdoor play area, swimming pool, open park, lap pool, kid’s pool, gym, function room, jogging trail, pool deck, pavilion, basketball court, landscaped gardens, lounge pool and a luxurious outdoor shower that brings you closer to nature are only a few of the pleasures that await you.Schools are available in a wide variety and making a selection to attend Miriam College or any one of the institutions on offer is one that will benefit your children completely. Hospitals and medical facilities ensure that your family is always well cared for and in good health. Quezon City General Hospital along with the many others in the region provide top notch services and state-of-the-art equipment. Take in some leisure activities at one of the shopping malls or catch a movie at the Gateway Cineplex. This is truly a region filled with opportunity, whether it be work related or study related. Relax and enjoy the views, breathe in the fresh air and find your inner peace. A development that incorporates both working and living space in one well-designed, modern wonder or architecture. While the development meets the needs of both the business and the individual, industry standards are not left by the wayside. Innovation, creativity and design have allowed these towers to rise to iconic status. Features and amenities are exactly what every family and in this case, business owner seeks when settling on a location that is best suited to them. BPI Cebu Corporate Center offers you everything you may require to enjoy a successful environment or foster a living style that offers you peace of mind, relaxation and comfort. Centralized air conditioning, LED lighting, Emergency power supplies, responsive fire detection system, working fire exits, material recycling system, 70% glass ratio for maximum natural light, dual flush systems, CCTV’s for security purposes, five passenger spacious elevators and a wide variety of other features make this the safest, most comfortable and convenient location you live or work in. 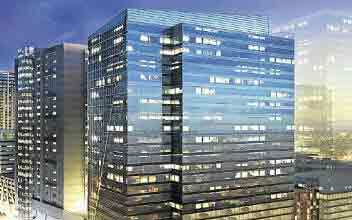 6794 Ayla Avenue is the location of the Alveo Financial Tower, the heart of the Makati Business District. This is the center around which the city itself revolves. This LEED-certified tower stands 49 storey high and is integrated into every facet of commercial activity in the area. Modern facilities provide functionality while the effective features of the building allow you to concentrate on the projects of concern for your business. Innovation and creative architecture set this fine development apart from any like it. Designed to cater for any business or industry. The close proximity to all the commercial operations in the area allow for ease of function, communication and growth. This development is situated in the economic hub of the city and the locality of all the major game players is what makes it so appealing. This is the place you want to be. Planned amenities are designed to make business life as stress-free as possible. An on-site cafeteria will provide you the opportunity to fill up on a decent meal while burning the candle at both ends. A fitness gym will provide you an outlet for pent up stress while keeping your health and fitness levels at their peak. Keep your body physically fit and your mind mentally alert. Hotels, restaurants, shopping malls and medical centers will be within a close proximity of the financial tower ensuring that you always have entertainment and leisure to escape the craziness of the busy business world. This will be a home away from home. Located at Canlubang, Calamba, Laguna. Spanning a vast area that is spread over the city of Sta. Rosa, and Calamba and the municipality of Cabuyao. This is an eco-city at its finest and the largest of it kind in the Philippines. Take green living and caring for the environment to new heights while enhancing your lifestyle and increasing your levels of health and vitality.The development offers the opportunity to purchase a lot on which you can build the home of your dreams. Amenities on offer within the self-sustained eco-community encourage awareness of nature and a sense of wellbeing. The clubhouse, swimming pool, mountain bike trail, running trail and jogging paths leave you no reason not to stay in shape. Wildlife and birdlife are in abundance. While there are three schools within the township, your options are not limited. Just beyond the boundaries of the community lies a world of opportunities. Education is top class and high caliber. Queen Anne School of Sta. Rosa is only one of the fine choices you will have. Many medical facilities are within close proximit of Mirala Nuvali. New Sinai MDI Hospital is one such facility providing state of the art service and a professional experience. Of course other places of interest and entertainment are also on the cards and you will never be short of something to do. With the development providing easy access to the main business centers it is the perfect place to call home. Forget the smog of the city, breathe in the fresh air. Style and comfort define this condominium development. Strategic location and ease of transition make this the perfect place to move in, settle down and live your life to the fullest. Situated in the city of Pampanga, this is a highly sought after development. The excitement of city life is something many crave. Living in the Marquee Residences development ensures that you are kept in the middle of all the action. Everything your heart desires a mere stroll from your front door. City Hall, malls, restaurants and entertainment are provided in abundance. Easy accessibility to the development and from the residences makes this the perfect location for absolutely anybody whether you are a student, a bachelor or even part of a growing family. Standards of living are exceptionally high with a strong focus on quality and comfort. Mount Arayat is the backdrop for this beautifully crafted development. Enjoy fresh mountain breezes and the splendors of nature while wallowing in the lap of luxury, modern living, convenience and comfort. While the amenities on offer are tastefully and masterfully incorporated into the design of the development, it is the easy accessibility to schools, medical facilities, the commercial businesses and places of worship that really swing the pendulum in favor of this selection. This is the place where you can really enjoy the fruits of your labor and hard-earned success. Take advantage of the city meets nature environment and unwind at the pool or garden deck or take your pent up frustrations out at the gym.There is no other place to call home. Located in both Majada and Calubang, Calamba, Laguna, Lumira Nuvadi is the largest eco-community in the Philippines. The development overlooks Mount Makiling, a breathtaking sight to behold. The development incorporates the wonders of the outdoors and nature into every day living. Pocket parks, encourage gatherings with friends, family and neighbours and community feeling comraderie is guaranteed.The fairly close proximity to Metro Manila allows you to escape the city lifestyle while still being close enough to it to maintain ties and travel freely when the need requires it. While the development has been planned to innovatively incorporate amenities and facilities required on a daily basis, the existence of medical facilities and schools in the nearby vicinity as well as the location close to the CBD of Laguna make it that much more appealing for convenience and comfort. Careful consideration of the environment was implemented during planning and implementation and environmental sustainability is of great importance. The developers have gone to great lengths to facilitate partnerships with the likes of WWF and to focus on energy, water and waste management. With more than half the development consisting of open spaces, families can enjoy the fresh, smog-free air while clocking up the quality time. Don’t think for a second that thefocus on environmental preservation has in any way hindered the quality of living and comfort provided. Modern living, spacious and comfortable units are no longer a distant dream. Give your family the best of both worlds. The excitement of city life and a place to escape the madness each day. Situated in the center of the Makati Business District, this development ensures that you are always in the middle of the excitement with every possible necessity right at your fingertips. There is no better way to experience urban living than in this high-rise condominium block. While the units available are space-efficient, there is a size that will cater for a variety of family sizes. A capacity of 821 residences and the addition of an amenities floor and two floors of retail stores and services, this is the hottest place in town. Convenience and the experience of ease of living is what the development is geared towards. The establishments surrounding towering residence are the cherry on the proverbial cake. BPO buildings, restaurants, hotels and a variety of mixed-use establishments are all a hop, skip and a jump in any direction. The development is within walking distance to a variety of educational facilities which include Far Eastern University and Assumption College, medical facilities like Makati Medical Hospital, and churches like Union Church. These are of course only a drop in the ocean of the variety on offer. Shopping malls offer you the possibility of a retail experience on every corner. A variety of other facilities like police stations and fire stations are within walking distance of Kroma Tower. Living in the heart of the city where the excitement is palpable is a dream come true, having a place to call home within that space that allows you to escape is almost unthinkable. Situated in Tagaytay City, the community is guaranteed to experience the cool breeze all year round due to the elevation of the city itself. A mid-rise residential condominium block located a mere 50km for Manila is an eco-friendly environment that your family will benefit from completely. Enjoy the encouragement towards an active, healthier, greener lifestyle. Awe-inspiring views and lush greenery will put the memories of the smog-filled city far in the back of your mind. Spacious living units and added features ensure safety and convenience. Electiricity and water meters, smoke detectors, fire alarms and sprinker systems and cable TV are a few of the luxuries presented to make life that much more enjoyable and secure. The amenities on offer will keep you entertained day and night. A coffee orchard, herb garden and rain garden are features which are unique to the establishment. Tree houses, swimming pools and playgrounds are a few of the leisure activities on offer that encourage fun outdoors as a family. As with any location, schools, medical facilities and retail arenas are a vital selling point. TISE school as well as a number of other facilities ensure your children receive top-notch education. Tagaytay Medical Center is only one of the facilities that allow you to keep your family healthy from head to toe. The retail experience will take your breath away whether you select SM City Dasma or one of the bountiful other malls. Explore different cuisines at the vast array of restaurants. Health, well-being, and pure happiness are just beyond the perimeter fence of Kasa Luntian. Outdoor recreation and nature are the keys to the happiness found at this development. Focus is placed on nature and the value of the gift we often overlook. The development spans the cities of Cabuyao, Calamba and Sta. Rosa, Laguna. The magnificent Mount Makiling is a breathtaking and wonderous view that is enough to end each and every day on a high note. Easy accessibility from Manila and other main centers ensures that although the city seems a world away, it is within reach when required. Commuting daily for work purposes is a very real option and the realization of what awaits at the end of each day is enough to make each day worth living. The outdoor activities on offer are geared towards the whole family. Young and old can breath in the fresh air while enjoying the recreational facilities. This 40 hectare community incorporates nature and recreation into daily living with ease. The perfection of this enclave development can be found in the the self-sustaining characteristics where everything you need for daily living is found either within the enclave or within a very close proximity thereof. Schools, medical establishments, retails and shopping malls and places of worship are easily accessible. This is the perfect location for your new home whether you are only starting your family or are already established. There is nothing more valuable than providing an environment that is safe, secure and promotes not only healthy living but quality, family time as well. The time is now to make memories and build a legacy. This scenic and unique mountainside development can be found nestled in Porac, Pampanga. With the backdrop set against Mount Pinatubo and Mount Arayat, the views are breathtaking. With a complimentary mix of both flat and rolling terrain, the location is nothing short of spectacular. Fresh air and cool temperatures from the mountain air adorn the area throughout the year. Enjoy an eco-friendly living environment tucked away while still within close proximity to the hive of activity in the town of Porac, the largest town in Pampanga. Convenience and ease of living is achieved through the close proximity of all the important lifestyle establishments. Schools, medical facilities, commercial businesses and entertainment hubs are all a stone’s throw away. Safety and security of the residents is a primary concern which is carefully catered for by the access controlled gated entry. While the town of Porac is close by, should the residents seek a more adventurous, busy excursion, major cities are easily reached. Angeles City, San Fernando and Quezon City are all reachable via major expressways and local roads. The location of the airport within five minutes away is convenient and makes travelling to other destinations a breeze.The development itself consists of a variety of mixed-use establishments that are sure to keep even the most inquisitive minds busy. Retail shops offer a wide variety of wares while the office building within the development may offer convenient business or work locations for many residents. Elegant, innovative and creative design compliment the surrounding and setting of the development comletely. Located within both the commercial and residential district and incorporated within the Bonafacio Global City you will find this first class, high-rise condominium block. The only development of its kind directly attached to a shopping mall. This is the perfect place for you and your family to call home. BGC is an area that is preferred by many. The district offers wide open roads, a wide array of restaurants and cuisine experiences, arts and culture, superb architecture, abundant green areas for relaxation and recreation. The close proximity of a number of top ranked educational facilities such as British School Manila or International School Manila to name only two, makes this the perfect place for growing families. State of the art medical facilities provide peace of mind that your family will always be able to receive the best attention to their health when the time requires it. Attractions and landmarks scatter the district displaying the distinch art and culture of the nation. Take up a show at the Maybank Performing Arts Center or stroll around the Mind Museum. This is the business capital of the Philippines which aptly makes this the place you want your career to flourish. Everything you need close by, school, work and play.In-house amenities excite and astound both young and old. A garden deck, lap pool, kiddie pool, jacuzzis, a yoga area, trellis garden, gym and board room, view deck, jogging path, lounge, lawn play room and a fully-equipped function room. Who knows you may not even have to leave the building. Situated at the heart of Cebu City. The second largest city in the Philippines is the location of this upscale residential condominium block comprising of one hundred and fourteen units. Convenience, comfort, accessibility and the perfect setting allows you to feel at home in an instant. Take advantage of the variety of unit sizes on offer. There is something to cater for all family sizes. Studio, one bedroom and two bedroom units offer the same amazing attention to detail, modern design and comfort.The location of Sedona Parc is perfectly matched with the requirement for a business or commercial development as well as a residential one. The close proximity and easy accessibility of all major services and amenities has cemented the future of this development. Schools are a deciding factor for many when selecting a home. There is a diverse array of schools available and within close distance from the development. Mabolo Elementary School as well as a number of other institutions will ensure your children reach their potential. SuperCare Medical Services Inc ,to name only one medical facility in the area, will keep your mind at ease should an emergency or illness arise. Malls and restaurants in the area provide diversity and variety that is sure to satisfy the tastes and preferences of all the residents. The close proximity of the International Airport and the Cebu Seaport add to the appeal of this region for both commercial and residential use. Find you niche within a development that keeps you at the center of all the action. 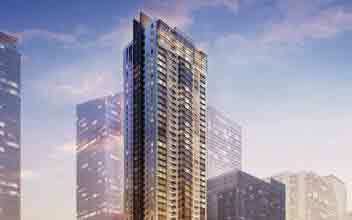 Bonifacio Global City (BCG) is the location for this astounding development. Carefully integrated with selected shops and retail outlets, residents can live a life of luxury, comfort and convenience. Being a part of Metro Manila and a region that is fast becoming a leading business center allows residents the opportunity to work close to their place of abode. Consisting of low to mid-rise establishments, this development is designed and detailed in true Europino architecture. The large, gree, open spaces allows residents to enjoy the city life with the knowledge that their escape to a luxury, comfortable, peaceful lifestyle awaits after hours. The close proximity to commercial and work facilities, schools and entertainment centers makes this a residence that is in huge demand. Home is where leisure time should be taken with both friends and families alike. 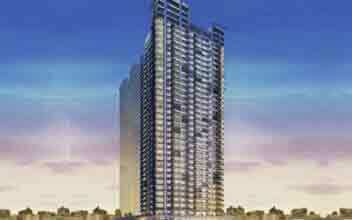 The amenities and features of Sequoia Tower makes this a possibility. Large, open spaces, landscaped gardens, water features and both indoor and outdoor amenities encourage a lifestyle where socializing and quality time with family and friends, both old and new, is easy and enjoyable. Convenience and ease of accessibility to medical facilities like St. Luke’s Medical Center, educational facilities like International School, business districts such as BCG, arts and cultural establishments which include The Mind Museum, retail shops and malls as well as restaurants and hotels make this residential development a destination of choice. There will never be a dull moment for residents of Sequioa Tower and that is a guarantee Alveo makes to all residents alike. Beaches and resorts litter Cebu City, a premier destination for holidaymakers, divers and adventure seekers. Diverse cuisine and dining experiences adorn every corner. Solinea, the development located in Cebuano, Cebu City, provides the residents with fine, high-quality living which is like no other experienced before. The growing economic hub Cebu City increases in numbers of business professionals, expats and families on a daily basis. Solinea provides these people with an alternative lifestlye that is completely opposite the the busy life they experience on a daily basis in Cebu Business Park. Quiet, relaxed and comfortable living is no longer a distant dream. This high-rise condominium block incorporates nature and nature reserve characteristics and green, lush surrounding which starkly contrast the concrete, urban background. Enjoy the fast-paced lifestyle that many thrive on combined with a place that provides you relaxation, comfort and quality of life.Close proximity to schools, medical facilities, commercial industries and businesses, dining and entertainment make this a truly perfect location. Cebu International School is one of many offering a high standard of education and Perpetual Succor Hospital , amongst many others, offers state of the art equipment and professionalism where health is concerned. Mango Square Mall is only one of more than a dozen retail and entertainment establishments in the area. On location amenities provide a haven of fun, relaxation and convenience for residents. Hammock cabanas, outdoor lounge, function rooms, sky deck, kid’s play area and a multi-purpose room that boasts multi-media capacity are only a few of the hidden treasures waiting for you to seek them out. 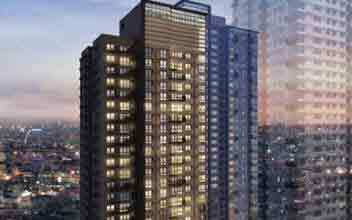 Located in Circuit Makati in the city of Makati, this development soars high in the sky at 41 storeys. 32 Floors dedicated to residential units, 2 floors to retail outlets and 1 floor to the in-house amenities. The balance of the floors are dedicated to parking allocated to residents in the building. The establishment is home to features that are designed to make living comfortable, convenient and leisurely for any family regardless of the size. A garbage disposal system and back up generator are a convenient addition to the development. Naturally ventilated elevators ensure a smooth ride home. Fire detection and sprinkler system as well as the addition of CCTV security cameras affords you peace of mind that your family is in the safest hands possible. The modern condominium development provides a fun, safe, comfortable, luxury environment. Active living is promoted through every aspect and feature of the development. Escape the grey city and the smog-filled air and enter a haven of fresh air and lush greenery. Forget the stress of the day and the exhaustion of work or school. The admiral amenities are offered in abundance. The luxurious lap pool is perfect to relax after a hot day as is the lounge pool. Let the kids cool off in the kid’s pool. Other indoor and outdoor amenities include the pool deck, juice bar, outdoor gym, lawn area, pocket gardens, bamboo garden, function room, fitness gym and a board room.Schools, medical facilities and a huge array of shopping and retail outlets and entertainment hubs are just beyond the borders. 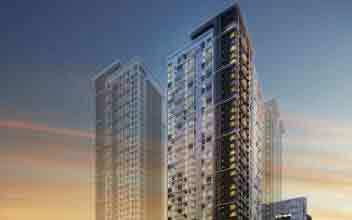 A high-rise, residential development located in Valero Street, Sacledo Village, Makati, Manila.. The residential units range from studio apartments to three bedroomed units, suitable for any family size. The development will incorporate retail stores on the three lower levels. The inclusion of the retail arcade provides convenience for residents. What you need when you need it. The development is located in a busy city where smog and environmental degradation is rife. As is the goal of Alveo in all their developments, they have incorporated features, fixtures and systems that aim to reduce the carbon footprint the development places on the environment while still maintaining their innovative, creative designs and providing comfort and quality to the residents. Green living is a way of life and Gentry Residences has taken the task with gusto. Every part of daily living is geared towards eco-friendly activities. Power, water usage, waste disposal and fresh air are all carefully monitored to ensure wastage is kept to minimum and effects on enviroment are not invasive or damaging. Safety features are paramount to any family. CCTV, 24 hour security and fire prevention and warning systems are all geared towards keeping you as safe as possible. Rest assured that your family is our first priority. The area is filled with all the daily requirements you need for comfortable living and a high-quality lifestyle. Premium educational facilities, state of the art medical facilities, a variety of places of worship, restaurants and diverse cuisines as well as entertainment, arts, craft and culture. There is no area that will not be satisfied. Stylish design and architectural brilliance have given way to The Lerato Makati. This high-rise development is located in the middle of all the most important destinations in the Metro. Malugay St., Brgy. Bel-Air, Makati City is the central point for easy access to any part of the city. The development itself consists of three towers.The unit sizes vary but are more than sufficient to cater for a growing family. Studio apartments, one bedroom and two bedroom units are among the choices on offer. All are fully-equipped to cater for the needs of your family and add to the comfort and convenience of daily living. There is no shortage of amenities within the development.Facilities on offer include an audio-visual room, culinary studio, elevator lobby, function rooms, a gym, stylish hallways, an indoor lounge, an art studio for the kids, library, music room, prayer room, mail room, a roof deck bar, an outdoor lap pool, kiddies pool, adult leisure pool, a wooden lounge deck, water features, open spaces and lawns, kids play area, yoga and meditation areas, reading nooks, access to WIFI and a rejuvenating jogging trail. Both indoor and outdoor amenities have been carefully thought through and implemented. Safety features are a positive aspect. 24 Hour security and surveillance and a fire alarm and smoke detection system make provisions for any kind of disaster.Schools, places of worship, medical facilities, educational facilities, retail and recreation are all close at hand. Theestablishments available are of the highest caliber. The experience will be unforgettable for all the right reasons. Located in Pasig. Experience lush greenery and the quaint appeal of cobblestone walkways and the freedom of wide, open spaces. This piece of paradise is situatied right in the middle of the busy center and offers a reprieve from the madness of city life. This high-rise development is the perfect place to hang your coat each evening. The amenities which form part of this development lend to the homey lifestyle of comfort and leisure that you expect. A lap pool, kids pool and wading pool ensure that the summer heat is easy to beat. A pool deck, outdoor lounge, lawns and garden courtyard encourage relaxation outdoors in the fresh air amid the natural beauty of the green surroundings. The clubhouse consists of a number of function rooms which cater for any kind of function, a board room, fitness gym, indoor play area, indoor lounge allow you to let some steam off inside. The development promotes an active lifestyle. Schools such as St Paul College Pasig provide an opportunity for your children to exceed their potential and obtain a high standard of education. Medical facilities and hospitals are scattered throughout the region with so many state of the art centers available. Pasig City Children’s Hospital is one such facility. Retail and entertainment are plentiful and within close proximity of the development.This is the perfect solution to rush hour traffic and wasted hours commuting. Live close to your place of work or school in the lap of luxury. Escape the smog filled air and retreat to your safehaven each day. 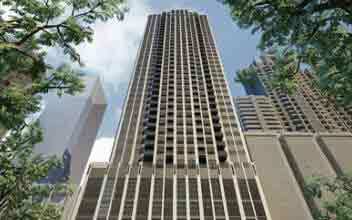 Located in the city of Makati, at the center of the financial hub. The first of its kind in the Philippines. A prime business address which will boost the namesake of any organization in an instant.The commercial hub created by this development encourages the growth and success of small to medium size businesses and that of entrepreneurs as well as others in a variety of different professions. The two tower development is built according the standard regulations and is geared towards collaborative work opportunities. Future development for this area are what make it that much more appealing and attractive. The intended residential development, leisure accomodation and commercial spaces will increase the value of owning a space at the Stiles Enterprises Plaza. Spaces available vary in size and features and are easily adaptable to suit the requirements of any organization. The in-house podium parking allows for convenience and ease of access to the plaza itself by those occupying the spaces above. Units are open plan with no partitions. Future occupants design the interior and partitions according to their own needs and requirements. Those professionals who make the decision to take up working residence here are in for a treat. Everything that you could possibly require during your working day is just outside your door. Restaurants that cater to various tastes and offer a variety of cuisines are in abundance. Retail options ensure that your tastes and preferences are met. Carful planning, innovative and stylish design and the perfect location ensure real value for your money. 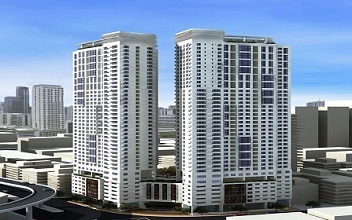 The Portico is the known mixed-use residential and condominium development in Pasig. The Travetine is the second residential tower to break ground in the Portico. Unique designs will ensure spacious residential units that exude elegance and class. The amenities on offer are top-notch and cater towards an easier, more convenient and comfortable lifestyle. Everything you need for daily living is a mere few steps from your home. Located along Capt. Henry Javier St. Brgy. Oranbo., Pasig City. The Travertine is within close proximity to both the Ortigas Center as the Central Business District of Makati, the foundation of economic growth in the area. Schools in the area are world-renowned and offer the highest levels of education for your children. The University of Asia and The Pacific is one such establishment. Shopping centers like The Robinson’s Galleria provide a retail treat for everybody. Recreation and leisure activites are of great importance in the lives of anybody and having places to retreat to in order to let of steam and let your hair down is vital. Manila Polo Club and Wack-Wack Golf and Country Club are the perfect locations to have some fun. If you are more of a homebody it doesn’t mean you’ll be bored stiff. The amenities, open grounds, lush gardens, relaxing surroundings, cobblestone walkways and facilities on offer are of the finest around. There is always something to keep busy with or simply a place to relax and enjoy life. Stylish architecture, gorgeous interiors and scenic views, what more could you ask for? Enjoy city life, removed from the noise and hustle and bustle. 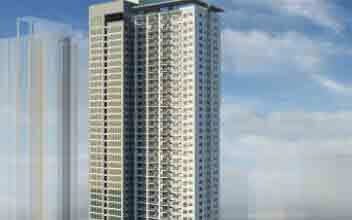 Located at the center of the economic hub of the city, corner of 26th Street and 7th Avenue, BGC, Taguig City. The High Street South development is one of the premier condominium communities in the area and the place everybody wants to call home. Holistic and culturally inspired design and quality home creation brought to life by creative and innovative minds. Three towers comprising 560 residential units makes this a monstrous development and one that has firmly set its place in the region. Diverse amenities are spread throughout the development. The magnificent views can be appreciated from the ground floor upwards. Lifestyle pools, board rooms, function rooms, a fitness gym, a garden deck and glass bridge, kids deck, infinity pool, social room and entertainment studio are all part of the grand design and a magnificent addition to your lifestyle. Take a few laps in the pool or enjoy the views from the bridge and end the day off with a sunset you won’t forget. 24 Hour security is provided for residents and the inclusion of underground parking is a welcome feature.Schools, medical facilities, commercial businesses as well as entertainment and leisure activities are in abundance and only a stone’s throw away from your front door. The International School of Manila is the perfect opportunity for your kids to achieve their potential. St. Luke’s Medical Center BGC will ensure the health and well-being of your family with their professionalism, care and attention. Shopping centers, entertainment and leisure centers are a buzz of excitement and provide the thrill of adventure. A four-tower, mid-rise condominium development is fast becoming one of Metro Manila’s most treasured residential locations. Located in Arca South Taguig, an active commercial, residential and industrial region in the Philippines. Taguig City is an astonishingly beautiful area with unspoilt shorelines and vast gardens. Recreational areas, shopping malls, markets, bars ,restaurants and tourist attractions are a drawcard. Thoughtfully planned and laid out to ensure spacious living spaces that provide comfort, convenience and high-quality living. Units come in a variety of sizes and can aptly cater for any family size. A common, outdoor recreational area consists of vast, rolling landscapes that frame the pool area, a lawn and garden area, gym and games room are all perfect spots to ease the stresses of the day away or partake in some fun and excitement. Education is a primary concern for most Filipino families and ensuring that the children are well-equipped to take on the world ahead is definitely a telling factor. The area is riddled with educational facilities of the highest caliber. Everest Academy Manila and International School Manila will take your children to new heights. A variety of hospitals are located within close proximity to the development. The health of your family is well catered for through modern, professional facilities like Taguig District Hospital and Fort Boniacio General Hospital. Entertainment and leisure are a requirement for fine living and enjoyment. Places of interest include Museums and Art and Culture centers like the Mind Museum. Get shopping at one of the world class malls right on your doorstep. Located in Silang, Cavite. Nature surrounds the area, lush greenery and a true natural environment. The atmosphere surrounding Westborough Sanctuary is relaxing and serene. The residences on offer are both modern and luxurious. While the community is set apart from the city life, retail strips are close at hand for those who care to venture into the commercial surrounds. Boutiques, restaurants and entertainment can all be sought after here. Easy accessibility to from Sta. Rosa to Tagaytay make living away from the city hustle much more appealing. Hotels, shopping and leisure facilities are plentiful and you are sure to find what you seek at any one of the fine establishments or be treated like royalty at one of the hotels. Seda Hotel NUVALI provides world class service and hospitality that will satisfy even the fussiest of visitors. A huge selection of wares is available at at the variety of supermarkets and markets on the strip. Rustan’s Supermarket offers diversity and variety. Schooling and secondary education are vital to the future of your children and providing the best environment for them is paramount. Brent International School and Learning Links Academy as well as a number of other facilities in the area provide the highest quality education for all who enter their doors. Medical facilities and places of worship provide a place to care for your health and your soul. True southern living is a reality within the confines of this development. Enjoy the wide open spaces, gorgeous surroundings and keep the hustle and bustle of the city life within your grasps.